Sebastian Saturday: My Foster Kitten in His New Forever Home! 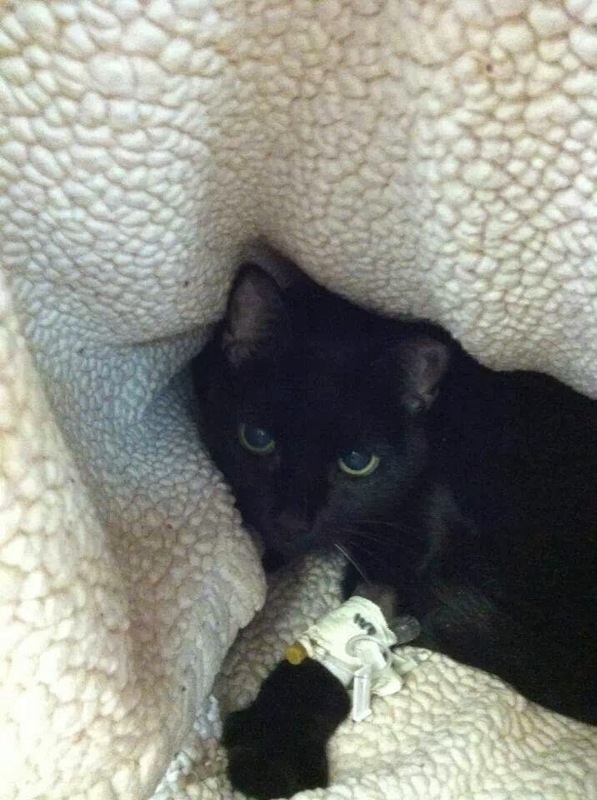 We're continuing our transport from Thursday today, but my foster kitten Sebastian got to his new forever mommy already and I have the cutest picture to share of them! I also have a silly video of him while he was here with me still and some cute pictures from then too! 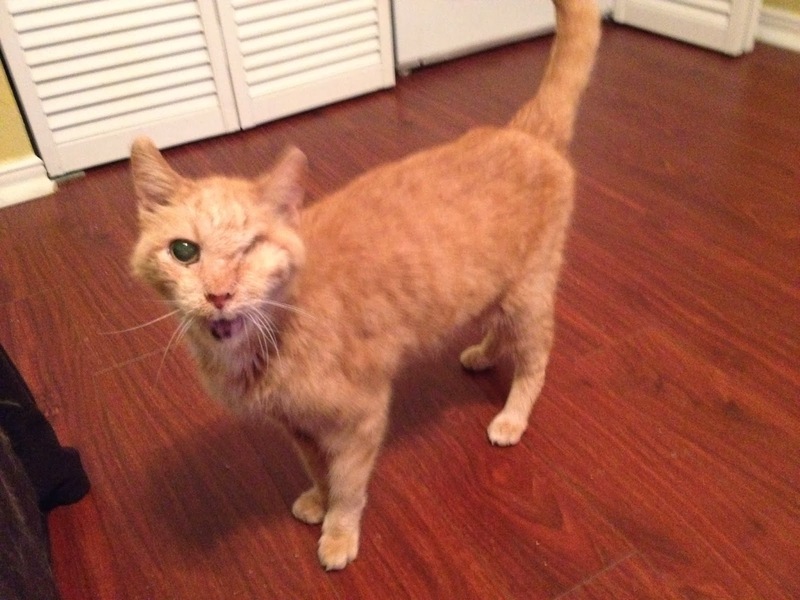 He went to such a great home, and it makes me so happy that this super sweet boy got such a great place to live and be loved! First off, the best picture ever... 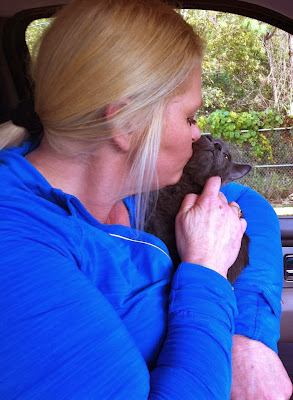 Here is Sebastian with his new mom, Michele C. when she first got him! 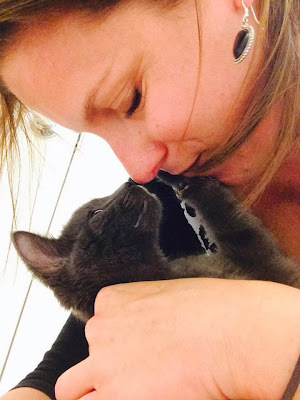 Sebastian getting a welcome home smooch from his new mom, Michele! Now check out what a silly water drinker this boy is! I had wondered why his water bowl was always spilled, and I just assumed it was a favorite game for him to knock it around. And then I finally caught him drinking water. Check out how he dances in front of the bowl! And how he dunks his face and then licks it off himself instead of drinking from the bowl. Isn't he ridiculous?! 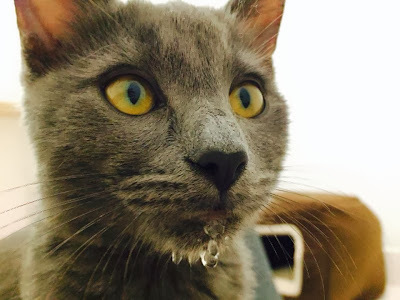 Here's his face after he's done drinking water. What a stylish water beard! Um, you have some more to drink there, buddy! And one more... He's such a snuggler. Here he is telling me he was done with the smooches! How could anyone stop smooching that cutie face though!? As we look forward to 2014 and all the wonderful things to come, let's take a look at all the amazing and fabulous things we did together in 2013. 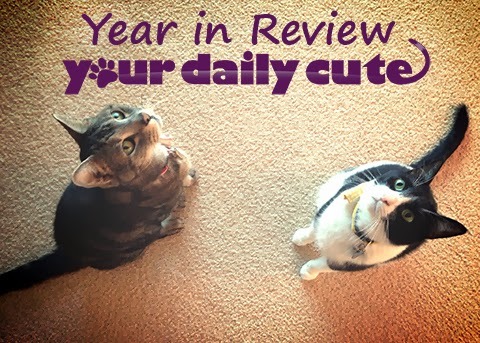 I have to say, 2013 was a very "Cute" year! We had lots of fun accomplishments, good deeds, silly stories and milestones this year. In no particular order, here are just a few! --Moo claimed his not-box back in May and it's still on the floor in my bedroom all these months later. 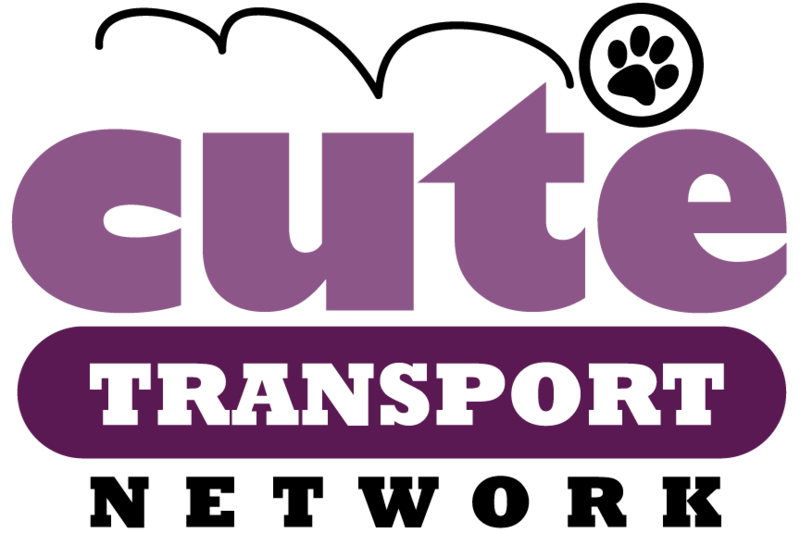 --After doing lots of kitty transports, we officially launched "Cute Transport Network" and gave our fabulous Cutehead drivers an official group name! 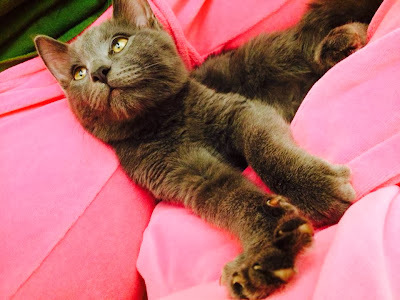 --Together with our partner in rescue, Good Karma Pet Rescue, we rescued, transported and helped save 210 cats total in 2013. Two hundred and ten lives saved! --Sweet Pea got out of the parking lot, flew to Pittsburgh and back to Florida, stayed at my house and made her case and looked cute until I finally caved in and called her mine, and then left us way too soon. --We also said goodbye to a couple other parking lot kitties: Orange Guy and Stitch. 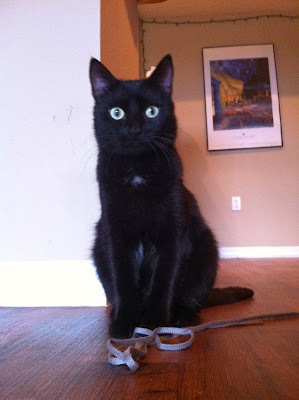 --Foster kitty Sebastian swooped in to cheer us all up with his adorable kitten cuteness and lovableness! 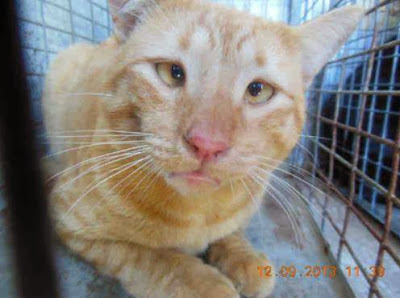 --We helped re-rescue and transport seven gorgeous cats from a hoarding situation. --We celebrated our 2,000th post on Your Daily Cute (and my birthday!) back in April. --Then in August, we celebrated Your Daily Cute's 5th anniversary. 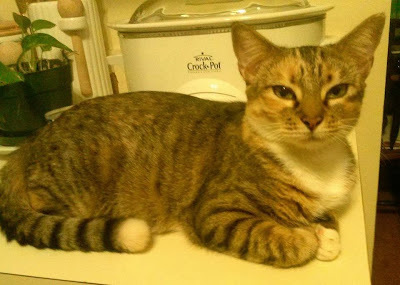 Five years of Cute! --We lost an absolutely amazing cat, our boy Lestat, who was one of my favorite transport kitties ever. 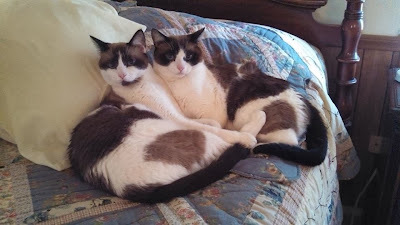 --I went to the Alley Cat Allies national convention and BlogPaws pet blogging conference. --Pimp turned 14 years old (and took the most amazing birthday pictures)! --We had a super fantastic Santa Paws Drive. 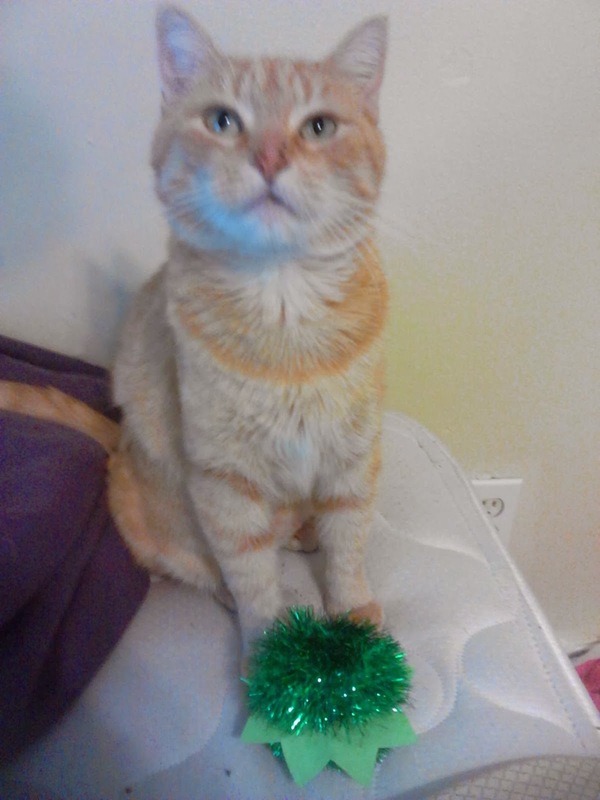 It was our 5th year doing it, and we raised nearly $8,000 in cash donations, 1,323 dog and cat toys and 106 bags of treats to help bring shelter animals holiday cheer for Christmas! All in all, I say this was a fabulous year! Thank you to every single one of you for helping making this the Cutest year ever! Gatto the cat likes to headbutt the camera. It's almost like he's headbutting us, isn't it? I kind of want to put my forehead on the computer screen to meet him! 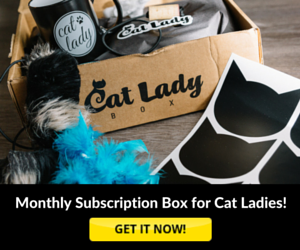 That's our natural reaction to a cat coming at us with his head like that, right?